The day is also known as 'Desh Prem Diwas' and is observed as a holiday in West Bengal, beginning with flag hoisting ceremony in several localities, to pay tribute to the national leader. Born in a Bengali Hindu, Kayastha family in Orissa, Netaji was one of the most prominent Indian nationalist leaders who attempted to gain India's independence from British rule by force during the waning years of World War II with the help of the Axis powers. Bose, who had been ousted from the Indian National Congress in 1939 following differences with the more conservative high command, and subsequently placed under house arrest by the British, escaped from India in early 1941. He turned to the Axis powers for help in gaining India's independence by force. With Japanese support, he organised the Indian National Army, composed largely of Indian soldiers of the British Indian army who had been captured in the Battle of Singapore by the Japanese. His attempt was however short lived and it's still an unacceptable issue for the Indians especially the among the Bengali community, that no specific inquiry was made into Bose's mysterious disappearance or possible death. Netaji's birthday is generally commemorated with processions, youth conventions, seminars, sports, and other cultural activities. Several schools across the city from north to south were spotted hosting processions on road, with students marching, singing and preaching the sacrifice of the freedom fighter. Many schools in north Kolkata organised picnics and short trips to take the advantage of the holiday. Picnic spots were spotted overcrowded with several peer groups resorting to spend an enjoyable holiday. Not limiting to schools only, people from different walks of life also hosted processions to commemorate the day. Several localities across the city have also organised cultural shows with songs, quiz contests and skits based on his contribution to mark the day. 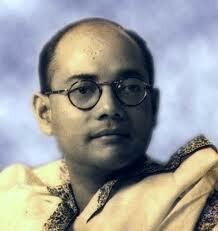 Innumerable marquees adorned with large photographs of Netaji were sported throughout the city. Meanwhile traffic was slow in various parts of Kolkata as long processions held up the vehicles causing traffic clots.